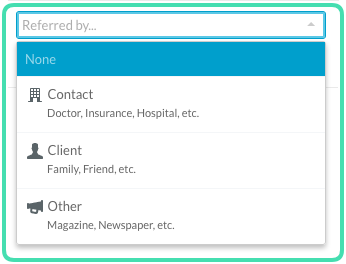 With Nookal, it is easy to record if a Client was referred by an existing Client, a Contact or another source of Marketing e.g. Facebook ad. This information will be saved in the Client Profile and used for marketing reports. There are three main ways to record or update this information. See below for details. 1. 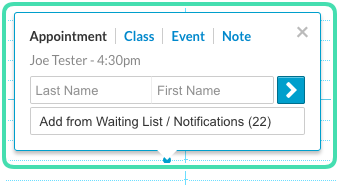 Click on an available timeslot in the diary and create an appointment for a new or existing Client. 2. 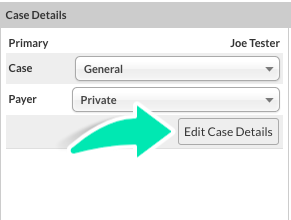 For new Clients fill in the Client details first, then select Create a New Case under Case. For existing Clients, select Create a New Case under Case if appropriate. 3. Under the Referrer section, click on Referred by to view Marketing Referrer options. 4. Select Contact, Client, or Other. Add Other marketing sources e.g. Google Ads via Practice > Setup > Referrers. Click here for more details. 5. Choose the appropriate Referrer for the selected Referrer Type. 6. Add More Information if necessary. 1. Click on an existing appointment in the Diary. 2. Click Edit Case Details under Case Details. 3. Follow steps 3, 4, 5 and 6 from above. 1. Navigate to the Client Profile. See Finding Client Profiles for assistance. 2. 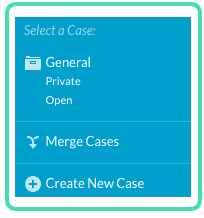 Click on Cases in the menu. 3. Select an existing Case to update the Referrer or click Create a New Case.